Play For Free and Win For Real! PartyBux gives you the possibility to play poker with real money without having to make an initial deposit and with no strings attached! This is the perfect way to try out what millions of people play every day around the world, namely poker. All you need to do to get started is click one (you can signup for several bankrolls once registered) of the ”Request Now” buttons below to start the very easy and secure 4-step signup process. If you have any questions regarding the signup you’ll find the answers in our Sign Up Guide. 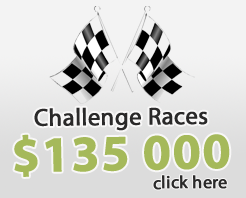 No time to waste, free poker money is waiting for you! 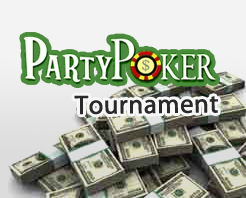 To receive our free poker money, you must first create a PartyBux account. To create your account, click "Sign Up" at the top of the page and accurately enter your personal information. If you enter fake information, your request(s) will be declined. Due to the nature of the free poker money offer, we require that you first verify your phone number using our automated system and verify your personal information by uploading a valid photo ID. Attempted bonus abuse is a regular occurance, so verification is now a requirement for all users. Once you verify your information, you are free to request each of our offers as long as you don't have an existing account at that site. To request your Free Money, choose one of the offers on the left and carefully follow our signup instructions. ***Important*** - You MUST use our signup instructions and bonus code to be eligible for the free money. If you do not use our instructions, you will NOT be eligible. 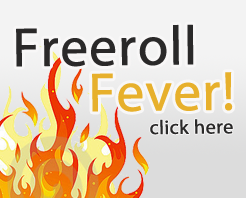 Once you request a free poker bankroll, we begin processing your request. This usually takes 2-5 business days. Once your request clears our system, we send the request to the poker site. It usually takes the poker site 3-7 business days to process your request internally. Once the poker site confirms that you are a new player at their site and that you signed up correctly using our instructions, they will credit your account with the free poker money. We will also send you email confirmation that the free money in your account. You MUST be at least 18 years old to receive a free poker bankroll from PartyBux. If you, or a member of your household, has an existing account of any kind at a poker site, you are not eligible for the free money offer at that site. We do not accept requests from the following countries: Bulgaria, China, Costa Rica, India, Indonesia, Israel, Lithuania, Moldova, Morocco, Poland, Turkey, Colombia, Peru, Singapore, Uzbekistan and Vietnam.